Built between 1468 and 1491 for the Serviti. 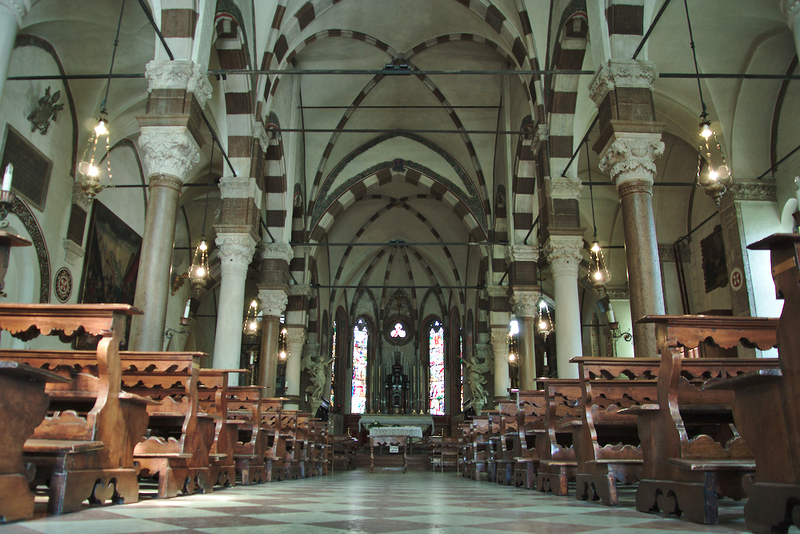 Inside there is cappella Cesa from 1485 with wooden altar piece by Matteo and Antonio Cesa and frescoes attributed to Jacopo da Montagnana. Cappella dell’Addolorata from 1737. On the walls are paintings by Cesare Vecellio, Francesco Frigimelica, Antonio Lazzarini and others. Two angels and a crucifix by Andrea Brustolon.